I am committed to supporting mothers and daughters in finding greater prosperity and satisfaction through conscious communication. There is power to imagining a new story together as women and how we come together for support, healing, and education. Each one of us has been affected by family dynamics passed down through generations. Epigenetic studies have shown scientifically that the experiences of our ancestors not only changed their genes but also affected future generations. We all have an opportunity to heal the pain of our lineage. I have experienced it myself, doing constellation work with Lexi, and seen it in dozens of others. I’m not talking about past-life memories of a 17th-Century daughter betraying her mother by sending her to burn at the stake as a witch. I’m not talking about reliving violence or taking a spiritual bypass to pretend we are beyond our past. The rational mind doesn’t need to understand the specifics or have a certain story about the past. With Lexi’s skillful facilitation I’ve experienced stuck and confused energies move toward resolution and love when we are willing conduits. She speaks to the power of consistent work with a group. We invite the transformation of our epigenetic trauma when we experience deep belonging in our very cells. Lexi Delgado, BA, MA, has degrees in Education, Counseling Psychology and Group Facilitation. She has worked in the fields of education and mental health for 25 years. Lexi utilizes tools from many arenas of Sacred Science—Mindfulness, Yoga, Cosmology, and Constellation Work. 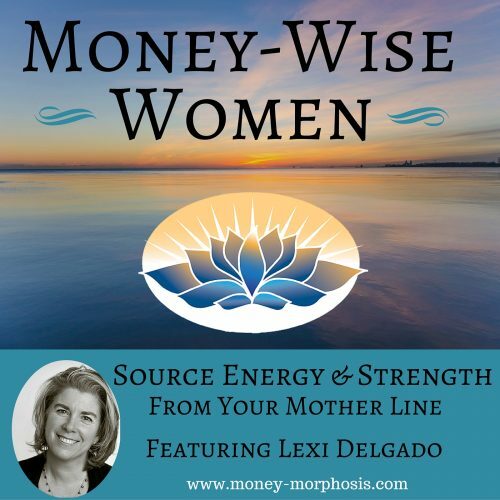 Lexi is the founder of the School of the New Work—a resource for evolutionary growth and learning. She has been married, mothering and living in Ashland, Oregon, for over 19 years.